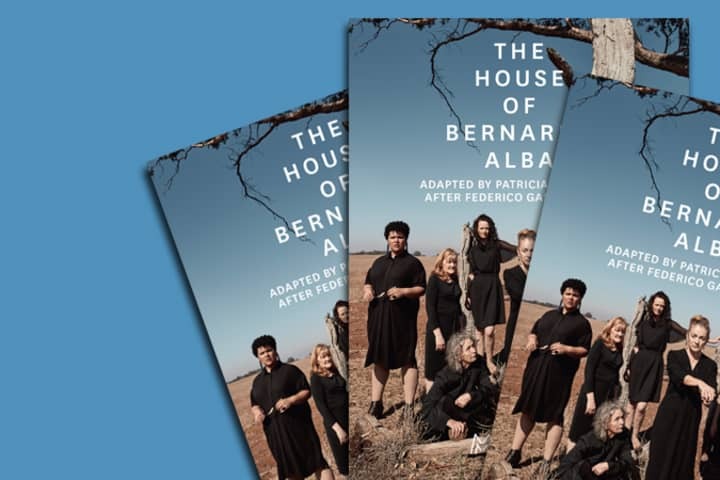 Work experience student Liliana Goodwin tells us about her week observing rehearsals for The House of Bernarda Alba. My week spent with the cast and creatives of The House of Bernarda Alba was an opportunity that I am so glad I took. I have always been interested in career pathways in theatre, from acting on the stage, to backstage work. My time at MTC gave me a real insight into what I may pursue in the future and was a definite eye-opener into theatre life. The moment I entered the rehearsal room I was greeted with welcoming smiles, and I just knew I was going to have the best week. I was immediately impressed as they began to act out the script, the talent they have is outstanding. After reading through the script and making some quick changes, they got up on the rehearsal floor to perform. 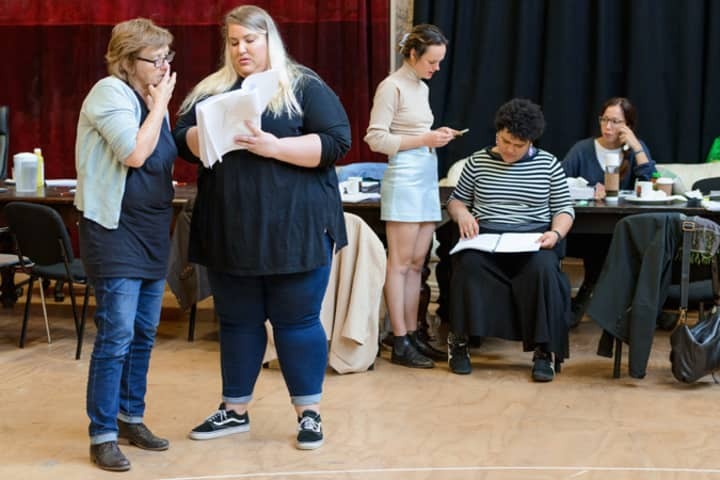 Director Leticia Cáceres made changes to the positions on stage, the tone of the scenes, and talked to the actors (Candy Bowers, Peta Brady, Julie Forsyth, Bessie Holland, Sue Jones, Melita Jurisic and Emily Milledge) about what they could do to really bring the show to life. Leticia is a great director with many ideas that help the show fall into place. Everyone was working hard throughout the week, but they still managed to have a laugh and always found a way to make it fun. 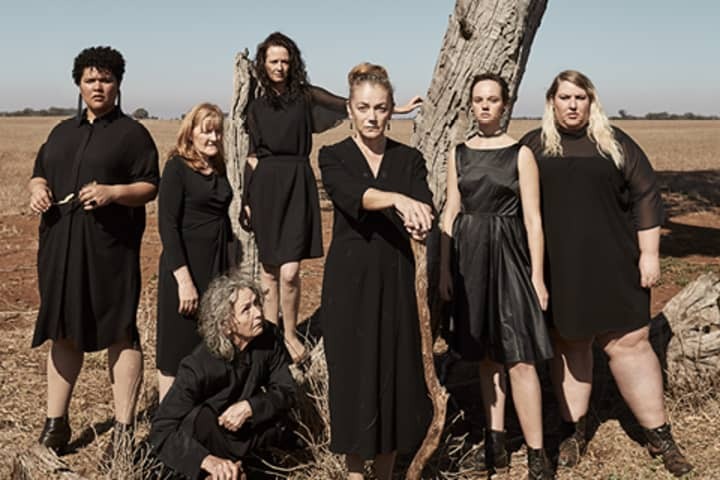 The fact that Patricia Cornelius has adapted the script from Federico García Lorca’s original play fascinated me as to how it has been translated from another language, and how Patricia has created a funny, thrilling and romantic piece. Her style of writing suited the script perfectly and there is a real energy to it. Patricia is very passionate about her writing and knows exactly what she wants out of it, which I find inspiring. My time spent with her was always great as we were always having a giggle about something. I fell in love with theatre even more on my tour of MTC HQ, as I saw all the amazing work that the staff put in to create the shows. There is something about the behind-the-scenes work that I find magical and heart-warming, it makes you want to jump for joy. Meeting all the staff and learning what their jobs entailed was very interesting, and I learnt how much more there is backstage. I spent many of my lunch breaks with the actors, and they taught me so much about not giving up even if it seems like you will never make it. They all have such a strong friendship and bond with each other, I never once felt out of place throughout my stay and could not help but laugh along with them. One of the highlights of my week was when Julie Forsyth (who I discovered went to the same school as me) tied a rope around Sue Jones and gagged her with a cloth for a scene in the play, which was very well acted and we all found it hilarious! 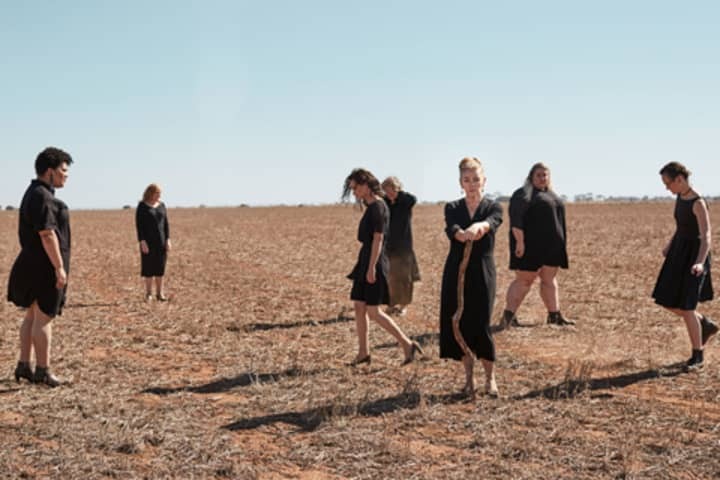 On my last day I spent time with Sarah Corridon (MTC Communications Content Producer) and helped her to interview Sidney Millar, who is the Composer and Sound Designer for Wild, another MTC production that was in rehearsal. Sidney spoke about how she has been going so far with her work, and it was great to see what equipment and locations MTC uses for videography. My last day was very emotional as I had grown so close with everyone, but I look forward to seeing them in the future. By the end of the week I had formed great friendships and the show was coming together beautifully, the ideas and creativity the cast and crew had were shared and they all worked together fruitfully. 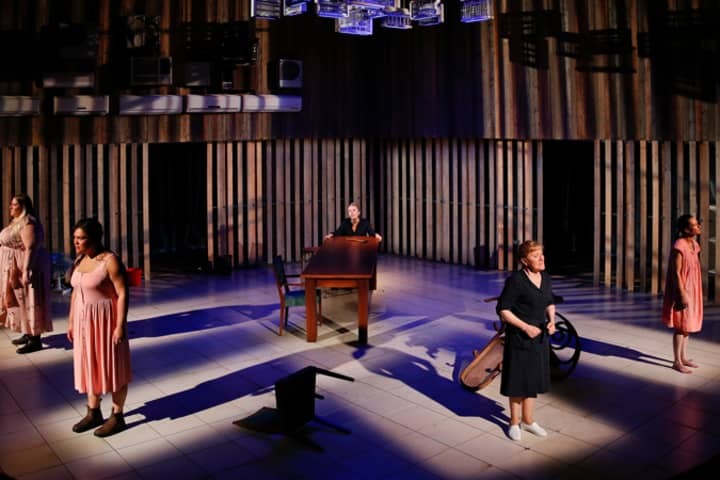 My time at MTC observing The House of Bernarda Alba was an amazing experience and I hope to visit again sometime soon.